Ringwood, Hampshire, bi folding doors, replacement windows, conservatories, orangeries. 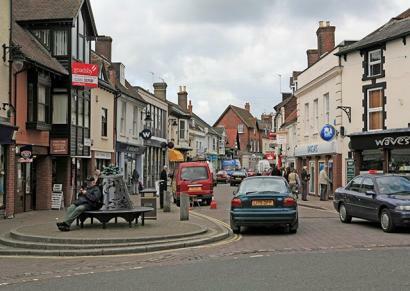 Ringwood is a town on the east bank of the River Avon in Hampshire. Home to Ringwood Brewery, which produces a variety of cask ales but probably the most important fact that many people don’t know is that The Brittas Empire was filmed at Ringwood Health and Leisure Centre! Wow! Ringwood to Romsey by car is only 20 minutes away. Have a quick drive down the A31 and pop in for a tea or coffee to talk through your project with one of the design team and find out what home improvement projects other people are doing in the area. Visit our showroom in Romsey for a friendly, no pressure discussion about your home improvement. Our impressive showroom is the perfect setting for a fantastic array of products, displayed in all their splendour. Please call ahead to book a time slot with a member of our team. Saturday appointments are available with our design consultant at 10.30 am, 11.30 am and 12.30 pm and they get booked up very quickly. So please don’t hesitate to give us a call today !